The lifeblood of Major League Baseball is in its young talent. Every team can boast a certain young ballplayer as the Future of the Franchise. Many teams have several players who fit this bill. We are going to cut through that crowd a bit. This list ranks the top 25 players heading into their age 24 seasons or younger – or, more pithily, the Top 25 Under 25. 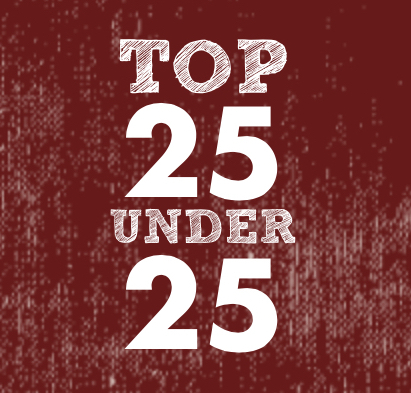 Eighty candidates were pared down to 25 of the best up-and-comers in the sport. Each player profile comes with links to their most recent prospect rankings (distant for some, not so much for others) by Baseball America (BA) and Baseball Prospectus (BP). Agree? Disagree? Weigh in below in the comments – or take it up with Joe at @joeserrato1. Rougned Odor was a bright spot in an otherwise putrid year for the Texas Rangers. After an injury to projected opening day second baseman Jurickson Profar, the Rangers went on trial runs with Donnie Murphy and Josh Wilson before recalling the 20-year-old Odor. 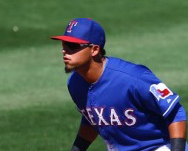 At an age where most stateside players would be college sophomores, Odor excelled in the majors. He hit .259/.297/.402, good for a 96 OPS+ (just below the league average of 100). Odor graded out to league average on defense also. The future is bright for Odor heading into his age 21 season, with a solid foundation of power (9 HR, 7 3B) to build upon. 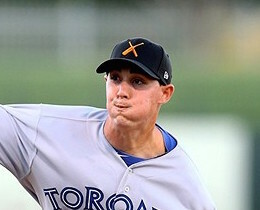 Aaron Sanchez throws gas. With a fastball that can reach the upper-90s, Sanchez sliced through MLB hitters in his debut season. In his first 33 innings, he posted a 1.09 ERA (2.80 FIP). Batters only hit .185 off of his fastball, and an even more diminutive .123 against his two-seam. 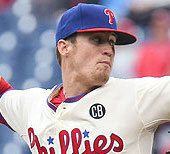 His first stint was as a reliever, and he’ll have to work on his secondary pitches to succeed as a starter. Though if this is Sanchez’s ceiling, it’s a great place to stop. He could be the closer for Toronto this season, or a back-end rotation candidate if Toronto acquires a frontline reliever. Sanchez, 22, can be a force for years to come. The only reason Bryant, 23, isn’t higher on this list is his lack of MLB experience. That should be remedied as soon as this season. He’ll likely be called up early in the season (for service time reasons), and he deserves to be up very soon. 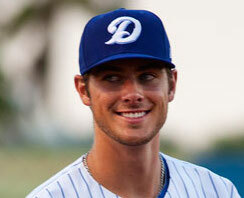 Bryant hit .325/.438/.661, albeit half his plate appearances were in the homer happy PCL. That shouldn’t matter as much, as Bryant’s power (43 HRs) should translate to MLB parks soon. He’s been an average defender at third base, though with the Cubs having so many infield options (Castro, Baez, Alcantara, Russell, La Stella, Valbuena), he may find himself in the outfield, where he’d only have to fend off Chris Coghlan for playing time. The Cubs could be good very soon, and Bryant would be a big reason why. UPDATE: Valbuena has been traded to Houston, potentially opening the door for Bryant as early as Opening Day. Fireballing Kenny Giles came out of nowhere. After three nondescript years in Philadelphia’s low minors, Giles, 24, flipped a switch in 2014. His strikeout numbers remained at their spectacular levels (12.6 K/9), while he found control (2.2 BB/9). Armed with a 97 MPH missile for a fastball, Giles is set for a very solid year in the back end of Philadelphia’s bullpen. Giles’ repertoire consists mainly of the aforementioned fastball (which has hit 101 before), and a wipeout slider, one batters hit only .101 against. The slider is his strikeout pitch, as 67 percent of his strikeouts came with the slider. If not for Jonathan Papelbon, Giles would probably be Philadelphia’s closer. He’ll have to settle for being a top-flight setup man in 2014. Jose Fernandez deserves to be higher on this list. Pitchers with his type of stuff, command, poise and control are generational talents. Unfortunately, Fernandez succumbed to Tommy John Surgery in 2014. There is good news, however, and this next sentence should make baseball fans very, very happy. Jose Fernandez should return to the mound in 2015. In this era of pitching, Fernandez, still only 22, can be one of the crown jewels. 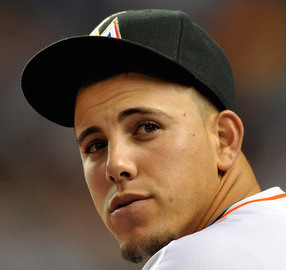 Fernandez posted a 2.25 ERA (2.60 FIP), while striking out over a batter per inning. His ERA+ was 174. That means his ERA was 74 percent better than league average – adjusted for ballparks, which is insane. If he were healthy, he’d rank in the top 3 of this list, but for now he stays here. If he can come back healthy, he’ll be a top flight ace for years to come. At least two of these could be in the Top 5 by August.